Print, Laminate, Cut, Remove Matrix The Afinia Label DLP-2000 is a digital label press that is powered by Memjet. The DLP-2000 prints in vibrant, 1600 DPI, photograph-quality color at 6 inches per second and requires no plates. The RotoMetrics cylinder accepts flexible dies up to 12 inches in length allowing for fast, accurate die cutting of any shape, including perforations. The DLP-2000 is compatible with your existing RotoMetrics dies. 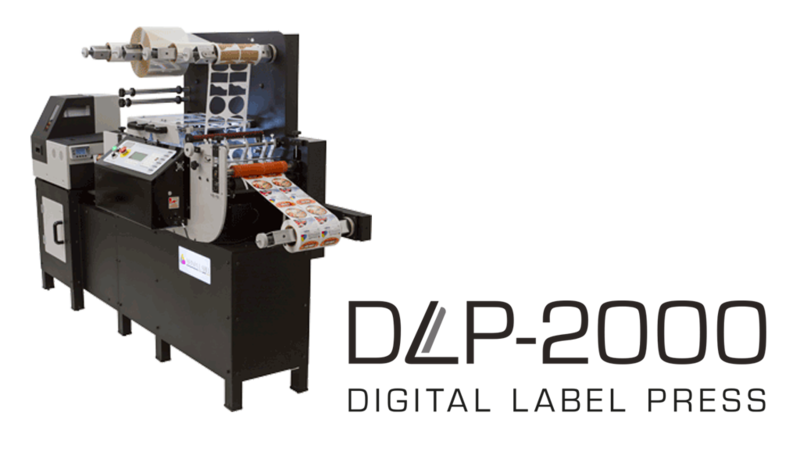 The DLP-2000 can also convert stock to blank labels, ready for printing. With a 14-inch flexible die, it’s possible to run the DLP-2000 in full rotary mode which will convert blank labels at a rate of over 140 ft/min. The DLP-2000 Digital Label Press brings the incredible speed, quality and economical low cost-per-print of Memjet Technology together with the precision and performance of RotoMetrics magnetic cylinders and dies. Finally, labels can be printed, laminated and cut in-line. Adding WasatchTM SoftRIP allows printers to dial-in precise, consistent color, and even utilize ICC Profiles to more closely match the output of traditional Flexographic and offset presses. It’s now possible to produce short-run labels, without the high price tag associated with most digital presses. The DLP-2000 delivers flexibility, quality and speed, making digital production accessible, and profitable.